What do Dre,Teargas,Pdiddy and Stunner have in common?The answer is quite simple fam adaptability to current trends and Innovation.While many of his peers in the urban grooves strata have faded into obscurity Stunner has managed to remain in the public eye for so long and has managed to score a few African award nominations,a formidable feat as any Zimbabwean rapper would agree. In his new single #Time he rides on the new wave of Trap beats and the turnup lifestyle that has taken over modern hiphop.Tman didnt disappoint on the beat as usual coming up with a monster beat which Stunner laced with a Future like chorus or closer home the kind of choruses we have come to expect from KidActive,Trigga and them. 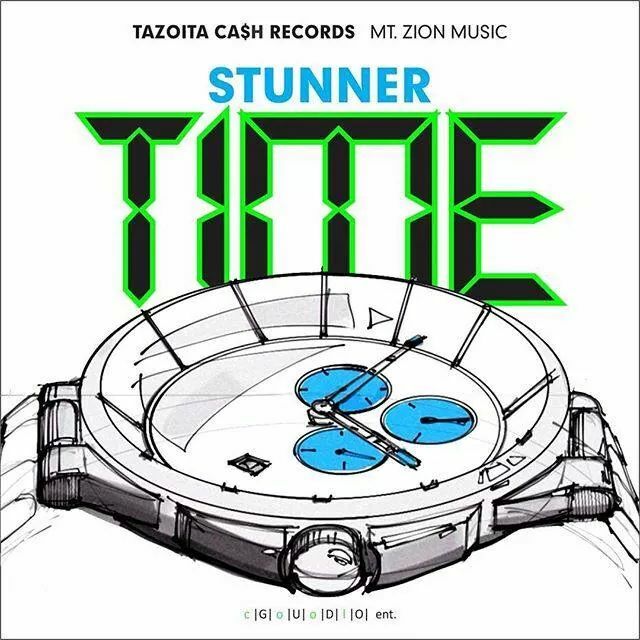 The song is as experimental as Stunner has ever gotten.It remains to be seen if the change in his usual simplistic bassy raps to complicated rhyme patterns and a lil tongue twisting will bear dividends.Will the change earn him new fans or will it serve to alienate his day one fanbase.Then again #TeamShark has always stood by the Tazoita Cash frontman even at his not so brilliant moments. The general idea behind the song seems to be a call to his peeps to check their watches since its time to go.This after staying in the club for so long,buying the chicks drinks and standing the test of time were others have made an early exit from the club.The club might as well be an analogy for the rapgame were many have come and gone without any impact whatsoever.